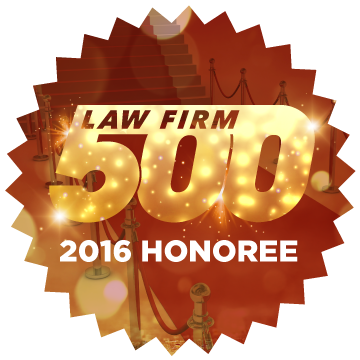 We are pleased to announce that The Ramage Law Group has been named a 2016 Law Firm 500 Honoree. Earlier this year we were nominated for our growth, operational excellence and commitment to client service. It is an honor to be included as one of the top one-hundred fastest growing law firms in America. At this time, we would like to use this opportunity to thank our loyal clients and partners who have supported us as we have grown. At The Ramage Law Group, we strive to provide quality services for our clients and their families. As we continue to expand our practice areas to include family law and special education, our team remains committed to providing the same personal attention to our clients. Because of our expansion, we are able to help even more families in their time of need, whether it is due to a custody matter or obtaining a Free Appropriate Public Education for their children.